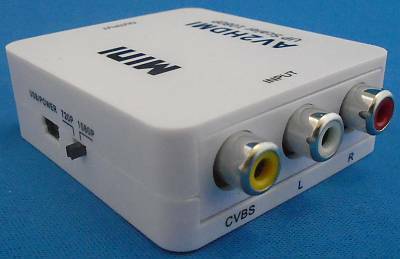 Composite Video (PAL/NTSC) to HDMI adaptor. 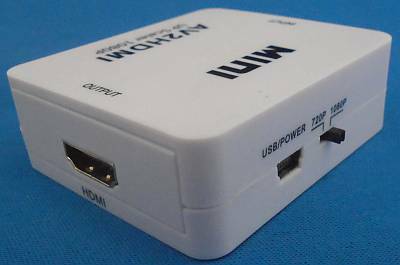 Suitable for various 15KHz RGB output systems like Commodore 64 etc. Phone Audio Left & Right sockets. No input or output cables included. 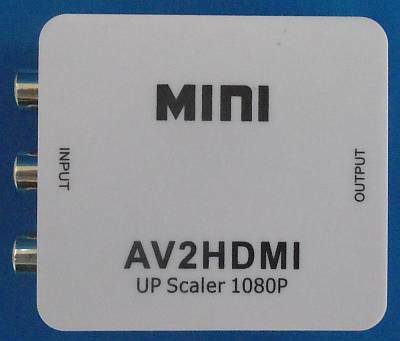 Suitable for any LCD from 15" upwards that has an HDMI or DVI input (The most common on new monitors). Will also work on widescreen LCD monitors but dependant on the aspect ratio of the monitor there may be some stretching of the picture. The unit is not cheap as it is complex electronics which digitises each input frame and its video output system then outputs each frame in digital HDMI format. n.b. Could be used on a BBC B/Master or Electron but our RGB to HDMI gives a much better output though it costs more. Please see: here. Price: £34.00 no VAT to pay!